The extended Carter family are on their way to California but Big Bob Carter is hell bent on taking the "scenic route" through the desert. They run into a spot of trouble when their car falls victim to spikes in the road, laid there by the victims of US Government nuclear testing - human mutants from an isolated mining community who refused to leave their homes when the Government took over the area for research. The inhabitants of the area are now deformed versions of their former selves, preying on unfortunate passers-by who have taken wrong directions from the clan's only human link to the outside world, a gas station owner. He leads the raw meat their direction and in return, recieves valuable belongings of dead hill victims. The dysfunctional family unit react in their own individual ways to their attackers. Three in particular are forced to rely on their primal survival instincts if they are going to outfight and outwit the wrath of the mutants. 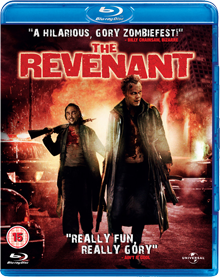 Craven can't be blamed for seeing the obvious talent that lies with this remake's 27 year old director. Alexandre Aja's debut, the stunning Switchblade Romance AKA High Tension, was a highly effective exercise in terror and survival so when we all learnt that he was to helm the Hills remake, the feeling was one of very positive, hopeful anticipation. 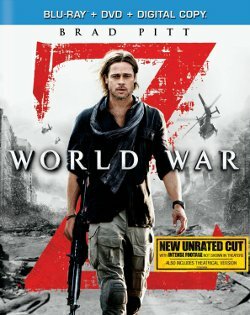 The remake starts with an attack on Government patrol soldiers who are testing the area in question with Geiger counters. 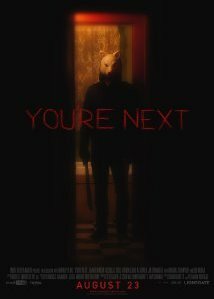 It's a flinchingly brutal attack that promises something that the rest of the movie unfortunately doesn't deliver, and for the next 45 minutes or so we are subjected to something that, in essence, a remake should never be - a virtual scene by scene remake of the original. Several script lines are cut and pasted from the original film verbatim, an aspect which, after a while, starts to make you question why the hell the film was remade in the first place. Remakes aren't all bad. Some of our readers have openly expressed the fact that they just aren't interested in even giving them a chance. It's important to remember that horror, as a film genre, has relied on the tradition of remaking / reworking classic stories since early last century - it's just the way a certain part of the genre works. Updated versions of classic flicks can work - see for example Zakk Snyder's 2004 remake of Dawn of the Dead, or if you were to go back a bit further, to what is often considered to be the best horror remake of all time - JC's The Thing from 1982. These updated versions bring more than enough originality and youthful verve to the dramatic properties, having more than enough tricks up their sleeves to keep you from starting to ask that question, "What's the point?" 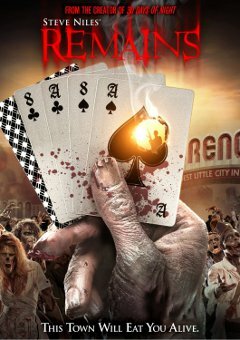 Even Marcus Nispel's 2003 Texas Chainsaw Massacre remake - while the very prospect of such a production taking place is close to sacrilege - had enough freshness, vitality and innovation to prevent it from falling into the same category as remakes like The Haunting, Psycho and even perhaps Night of the Living Dead. That's not to say Aja and co-writer Gregory Levasseur don't have any tricks up their sleeves. They do. The second half of Hills 2006 is where things start to improve a little, as one of our protagonists - extended family member Doug (well played by Aaron Stanford) - treks out into the desert in an effort to find his baby, only to uncover a 'Test Village', which is home not only to creepy scorched mannequins, but also to the hill people. 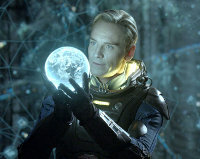 Without giving to much away, this, if anywhere, is where the balls of this remake lie. This new aspect doesn't feel as if it has necessarily "updated" the story - the effect of nuclear power isn't exactly anything new, but at the very least it's a reasonable creative addition to the original scenario, and for the first time (second time if you count the opening scene), we're really not sure about which direction we're headed. Aja's handling of key scenes, e.g. the first attack on the mobile home and simultaneous burning of Big Bob Carter, is adept enough but you could argue that any director could make something potent out of such a scene, considering the sheer terror inherent in the very notion of such an event taking place. Assuming he's fully aware of the 'turning point' nature of this sequence, Aja fleshes it it out into a longer, more protracted exhibition of savagery. The problem is, making it more brutal and bloody doesn't make it more compelling than in Craven's original - more succinct and hard-hitting than it is in the "updated" version. That said, the scene is still pretty powerful in terms of the weight of such brutal events but if you want to see how it's really done then just watch the original instead. Cast-wise, the film holds up ok. These actors aren't bad, but not exceptionally good either. Apart from one exception - Bobby (Dan Byrd) - they are, like the film itself, merely competent. Byrd's performance as (a much younger) Bobby Carter is one he was obviously giving his all to. He particularly shines during the aforementioned scene when he interrupts Lynne and Doug's coitus to tell them that his dog, Beauty, was ripped apart in them thar hills, and that "there are people out here". The "people" in question aren't, in all honestly, worth the wait in terms of their mutated appearances, courtesy of splatter king Greg Nicotero. His team have definitely pulled out the stops when it comes to shock factor but one can't help but reflect on how Michael Berryman was so, well, iconic. Without latex. Genre fans will however be pleased to know that Robert Joy (the scarred Charlie from Land of the Dead) plays Lizard - the mutant leader. The soundtrack, by tomandandy, only occasionally serves to improve dramatic content - when it works, it really works but I really didn't want to be in the room when it didn't. Again, nowhere near as effective as Craven's more refined approach in 1977. And that, as they say, is what it's all about, folks. 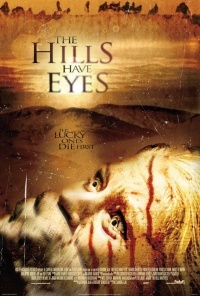 The Hills Have Eyes 2006 isn't disastrously awful - not by a long shot. It's definitely worth a look for horror fans but how much you enjoy it will no doubt be gauged in terms of your relationship with the original film. It doesn't feel justified as a remake. It's the same song but played with different instruments. Read our exclusive interview with Alexandre Aja here.